She's Fantastic: The Ladies of SMURFS: THE LOST VILLAGE! So I don't know all the details, but it's pretty obvious from the trailers that Smurfette is (justifiably) feeling alone and alienated in the Smurf village being the sole female. While in the forest one day, she encounters a Smurf in disguise who she feels a bizarre connection to. Smurfette gathers her friends on a journey to find where this mysterious newcomer came from. 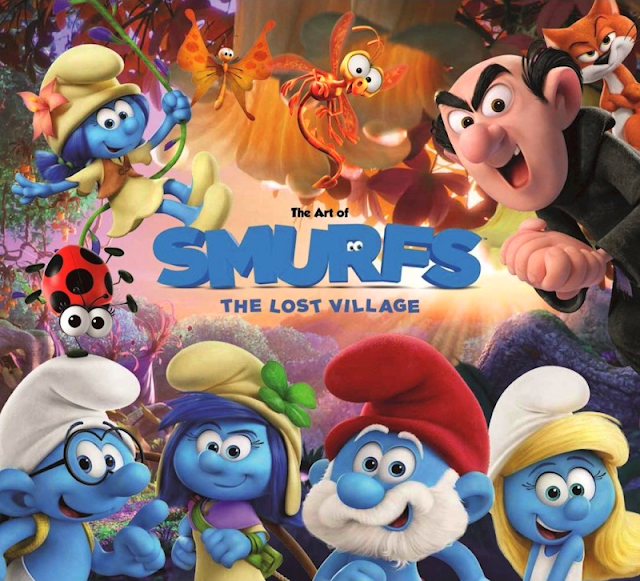 When they arrive, The Lost Village appears to be a village entirely composed of female smurfs. I'm going to start with a group picture and then dive into the individual characters and how they are being released. Look at that amazing lineup! I like how the Lost Village Smurfs have an off-white color to their outfits. My crafty self would call the color "goosefeather." The first set include Papa Smurf and Smurfwillow. This figure is only available in the 2-Packs (so far). In general these figures are articulated at the neck, shoulders, elbow/wrist swivels, and with legs that rotate. The next set includes Clumsy Smurf and Smurflily. This set includes Hefty Smurf and Smurfstorm. 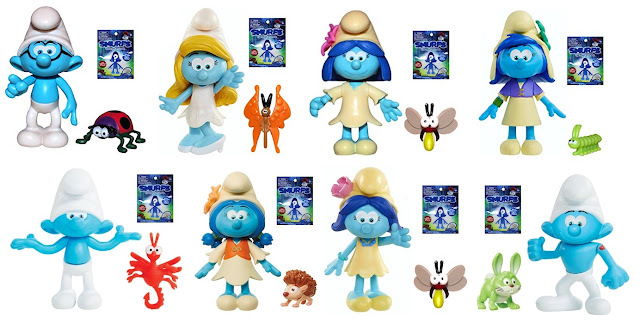 This final set includes Smurfette and Smurfblossom. Smurfette is lacking the wrist/elbow swivel that the other characters have. Likely because she doesn't have sleeves to hide the joint. This set includes Clumsy Smurf, Smurfette, Smurfblossom, Lost Village Smurf (Pink Flat Flower), Lost Village Smurf (Pigtails). 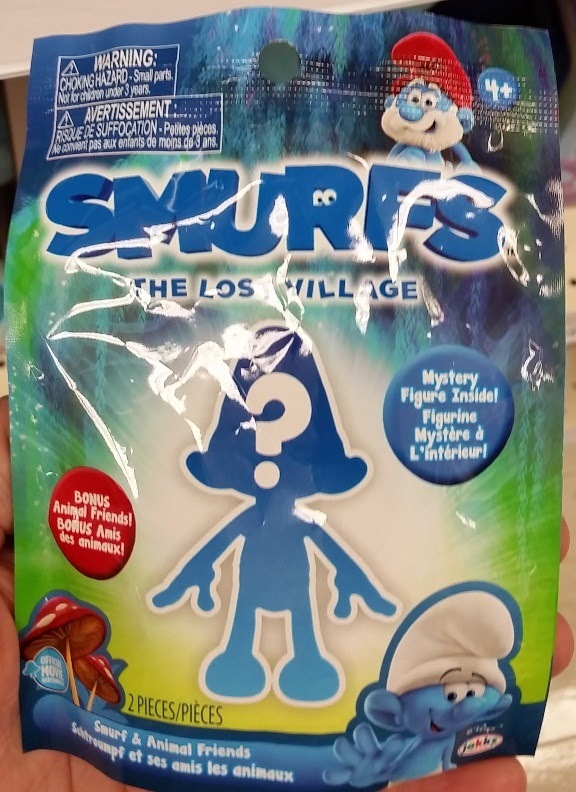 The Lost Village Smurf with the Pink Flower is only available in this set and the blind bags, the Lost Village Smurf with the pigtails seems to be exclusive to this set. This figure is only available in the TRU Multipack (so far). This figure is only available in the Blind Bags and the TRU Multipack (so far). 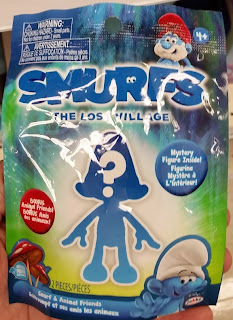 There are Eight Smurfs released in this Blind Bag series. None of them are exclusive, but the Animal Friends seem to only be released in these sets. 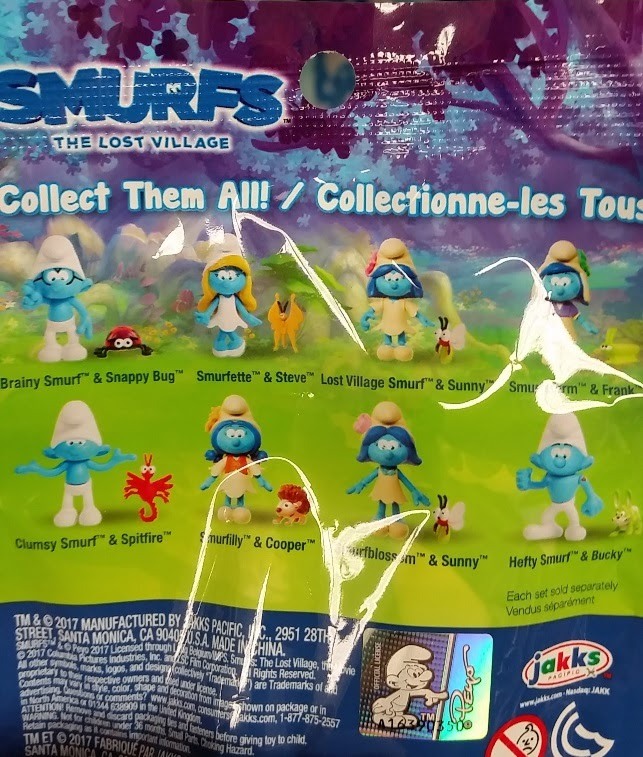 The Lost Village Smurf (pink flat flower in the top row) is also released in the Exclusive TRU boxset, but nowhere else (so far) - so she is the most exclusive figure in the blind bags. Here are all the ladies from this series together. From Left to Right: Smurfette, Lost Village Smurf (Pigtails), Smurfstorm, Smurfwillow, Smurflily, Smurfblossom, Lost Village Smurf (Pink Flower). Schliech PVC figures have been the gold standard for years. From Left to Right: Sassette, Smurfette, Jakks Smurfwillow, Nanny Smurf, Smurf Child with Doll.